There’s been a lot of films lately that have severely divided genre audiences and spurred a lot of conversation about what it means to be a horror film. This is due to a growing trend in independent filmmaking to subvert the rules of the genre and challenge the notion that a good horror film needs to follow an established set of rules and conventions. For me, this is a welcome trend that has helped revitalize the genre and proven to critics of horror that the genre deserves respect and recognition. 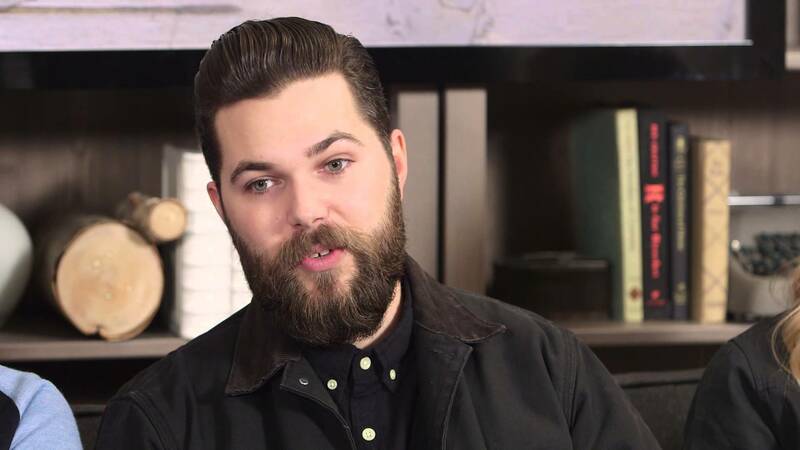 I also think no other film has done that more than The Witch, the feature film debut from writer/director Robert Eggers. Prior to his debut feature, Eggers started out directing and designing various types of theatre in downtown New York before his transition into film, making his living as a designer for film, television, theatre, print, and dance—while also directing several short films. I had the chance to talk to Robbert Eggers about his breakout feature film debut, the state of horror, and where he draws inspiration from. 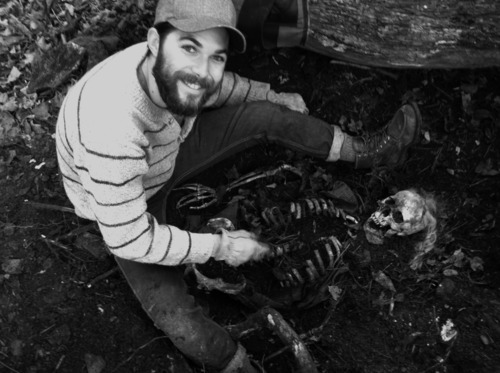 Check out our interview below with one of our most promising new indie horror filmmakers — the man responsible for one of the most thought provoking, legitimately terrifying, and genre re-defining films in years. 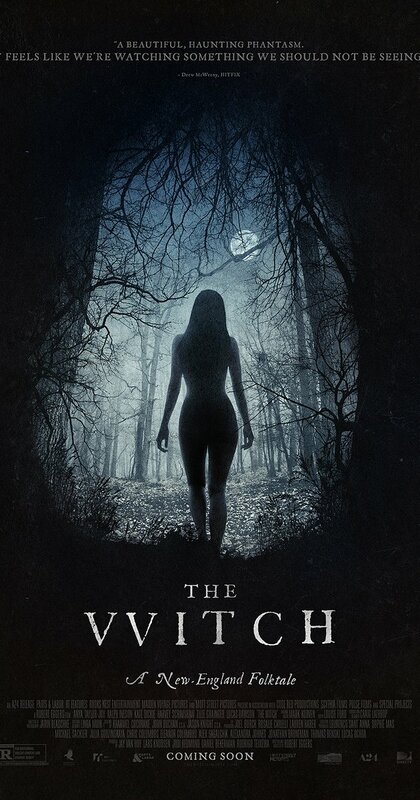 The Witch is your first feature film, and you blew away audiences on the festival circuit, winning Best Director among many other accolades. Were you at all surprised by how much buzz this film received and the passionate responses it has received from critics and audiences? Very. It took four years to get the film financed because no one wanted to make a “Pilgrim horror movie” in Early Modern English. Thankfully there is something witchy in the zeitgeist. 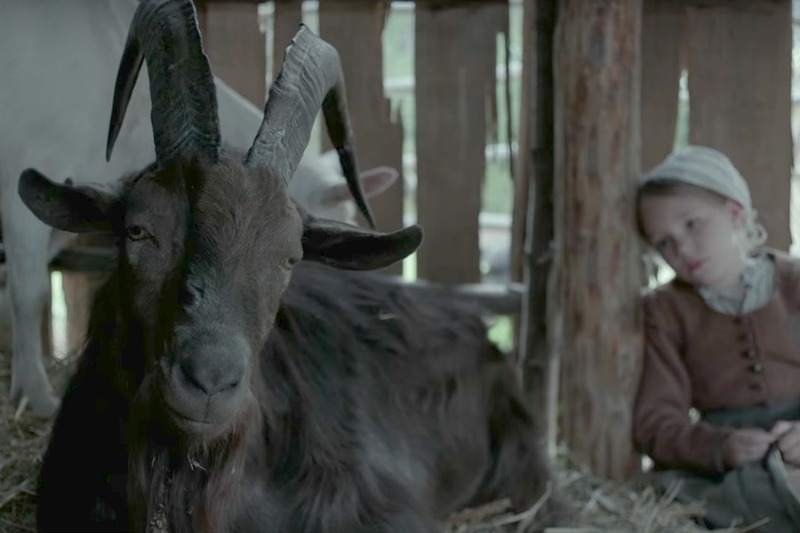 Besides its considerable festival buzz, The Witch made headlines when the leaders of The Satanic Temple (TST) endorsed the film right before its theatrical release, hosting special screenings and post-movie “rituals” around the country. How did you feel about the endorsement? Did it give you any pause/cause for concern…or did you think the extra attention was positive for the film? It’s nice to have fans. TST hailed the film as a “declaration of feminine independence” that “inspires a tradition of spiritual transgression”. Is that consistent with what you were trying to convey? Did you intend this to be a feminist film or make a statement about extreme religious beliefs? And how do you feel about the film’s ability to stimulate such thoughtful conversations and explorations of deep complex themes? I didn’t set out to make a feminist film. However, the moment I started doing any research I realized that if you are dealing with witches, you are talking about feminine power. I am proud that the film is raising this kind of discussion. Films like this — which are extremely intelligent, thought provoking and highly artistic (especially horror films) — would not ordinarily receive this kind of wide theatrical release and marketing support. How do you think you were able to accomplish what you did with this film, and were you surprised to receive so much support for a slow-burning period piece (with a first-time director and a lack of huge Hollywood names)? I was very lucky to have investors who trusted me to do what I wanted to do. One thing that was nice about having years of people saying “no” beforehand is that I had years to hone my vision. I knew what I wanted. I was able to cast whomever I wanted, and I didn’t want names for this film. I was casting great actors and good people who could support each other on this tough shoot. So much of the success of the film is from the performances. Likewise, amidst all the love for the film, some horror fans have had a problem with the film because it deviates so greatly from what they consider “traditional” horror. What do you think about the state of modern horror? Was it your intention to challenge the current state of genre filmmaking? What does horror mean to you? It was not my intention to challenge the current state of genre filmmaking. I don’t know it well enough to challenge it. I was just trying to make a film that spoke to me and that articulated my nightmares. For me real horror is about actually confronting what’s dark in humanity and it’s not about manufacturing jumps and scares. Though there’s nothing wrong with jumps and scares – there are times in life when you jump when you’re scared. A lot has been written about your painstaking attention to detail and the authenticity you brought to The Witch. Can you speak a bit about your approach to this film, the importance of authenticity to engaging the audience and creating a very real sense of dread, and your decision to keep the horror more understated (focusing less on what is seen and more on what is “felt”). The most important thing in making a film actually transportive, I think, is to articulate the images as if they were my own memories. It needs to be my own memory of my own Puritan childhood. What did my father smell like that day in the cornfields? What did the mist look like hanging on the corn? I need to come in with that kind of detail. And since I didn’t grow up in the 17th century, this requires an awful lot of research to articulate the details that one would have if it was one’s own memory. This is what is required to make something authentic and transportive. This is what is required to recreate a world in which we can believe in the witch the way these Puritans would have believed in her. As a filmmaker, who are the filmmakers that have most inspired you in your career? As a storyteller, where do you draw the most inspiration from? Bergman. Dreyer. Murnau. Kubrick. Dürer. Goya. Harry Clarke. Arthur Rackham. Gustave Doré. Gothic literature. Fairytales, religion, mythology, the occult. You seem to be really drawn to dark, gothic fairly tales. What attracts you so much this form of storytelling? Is horror the genre you feel most comfortable working in? I like dark subjects, I don’t know why. I always have. But even more than that I am drawn to the past. That is the “genre” that I am the most drawn to. What’s next for you? Rumors are surfacing that you’re attached to a remake of Nosferatu, which would be amazing. Any truth to that or any details you can disclose? I’ve also read you’re working on a medieval epic called The Knight, which also sounds incredible. What, if anything, can you share with us about these (or any other) projects? Your tremendous success as an emerging filmmaker, especially your ability to make a successful and widely distributed non-mainstream (indie/arthouse) horror film, is incredibly inspiring to young and aspiring genre filmmakers (like my 13-year-old son). What advice would you offer those future filmmakers? Work as hard as you possibly can, harder than you can imagine, and don’t give up. Watch films aggressively. Read books aggressively. Look at art aggressively. Observe life aggressively. Also crucial is building real relationships with like-minded collaborators. That is the key. Not contacts, not schmoozing, but strong relationships with people you admire and respect. Nosferatu remake would be rad! I really want to see this film after reading this! Thanks! 100% would watch a “Nosferatu” remake! I was surprised after watching the film with my horror loving family how SPLIT the thoughts were amongst the household! I loved it. I am more into a story and images that will stick with you for days rather than any jump scares. Great interview. There’s so many horror films that are generic these days, it was great to see one that took horror and changed it up to be an original, and, in my opinion, a cult classic. Can’t wait to see what this filmmaker does next.